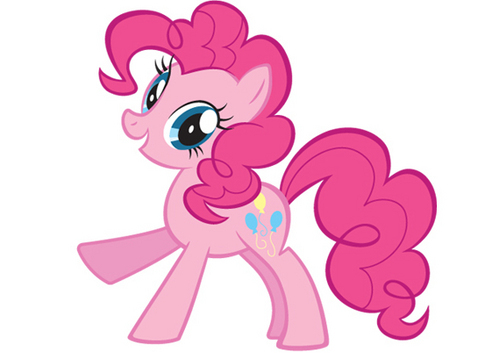 Pinkie Pie. . Wallpaper and background images in the ang pakikipagkaibigan munting parang buriko ay mahika club tagged: my little pony friendship is magic pinkie pie. SORRY GUYS! I'VE GOT madami PONIES TO POST! The party pony! She's the most fun, in my opinion, but is really random. PINKY PIE IS AWESOMEEEEEEE!!!!! And I Love Her because she has the word PPPPIIIIEEEEe in her name!!!!!!!!!! Honestly... I like em all! I AM THE MOST MOST MOST MOST MOST MOST MOST MOST FAN OF PINKY!!!!!!!!!!!!!!!!!!!!!!!!!!!!!!!!!!!!!­!!!­!!!­!!!­!!!­!!!­!!!­! !S­HE IS MY ROLL MODEL!!!!!!!!!!!!!!!!!!!!!!!!!!!!!!! I am mostly like Pinkie Pie. Energetic, playful, and silly. Pinkie is SO CUTE! But I still think Derpy Hooves is the best pony! She's hilarious! Discord-not so much. He's becoming lesser and lesser funny!